When most people envision crocodiles and alligators, they think of them waddling on the ground or wading in water -- not climbing trees. However, a University of Tennessee, Knoxville, study has found that the reptiles can climb trees as far as the crowns. Vladimir Dinets, a research assistant professor in the Department of Psychology, is the first to thoroughly study the tree-climbing and -basking behavior. The research is published in the journal Herpetology. 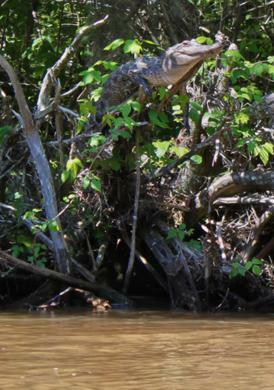 Dinets and his colleagues observed crocodilian species on three continents -- Australia, Africa and North America -- and examined previous studies and anecdotal observations. They found that four species climbed trees -- usually above water -- but how far they ventured upward and outward varied by their sizes. The smaller crocodilians were able to climb higher and further than the larger ones. Some species were observed climbing as far as four meters high in a tree and five meters down a branch. 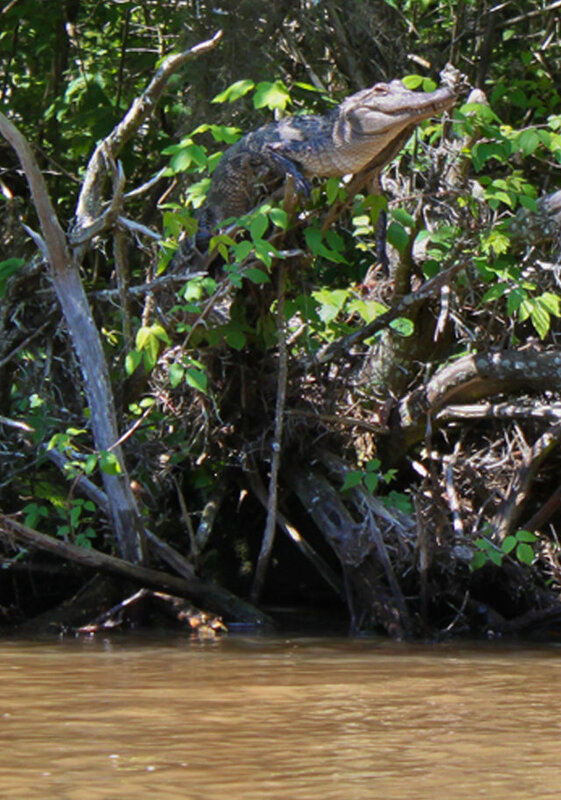 The crocodilians seen climbing trees, whether at night or during the day, were skittish of being approached, jumping or falling into the water when an approaching observer was as far as 10 meters away. This response led the researchers to believe that the tree climbing and basking are driven by two conditions: thermoregulation and surveillance of habitat. I guess it makes sense. Why else would they have claws if they didn't have a use for them? Still seems impractical though with such a body shape.